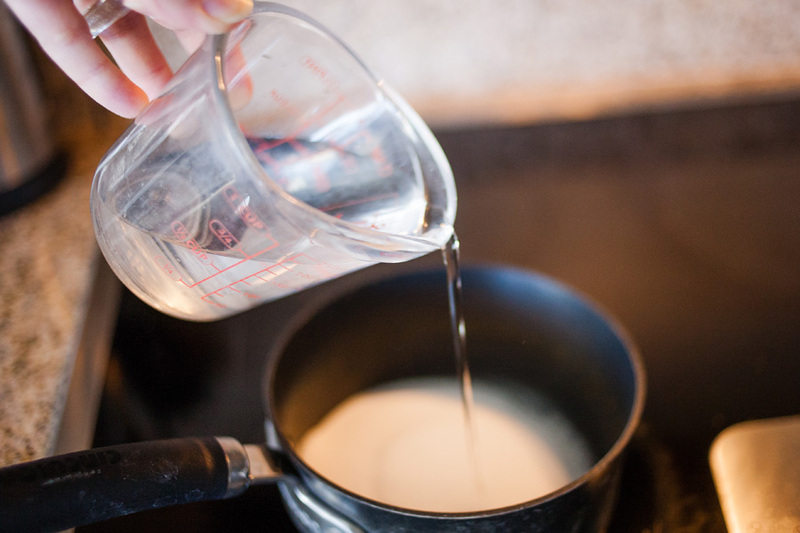 Bring a small pot of water to a boil on the stove. 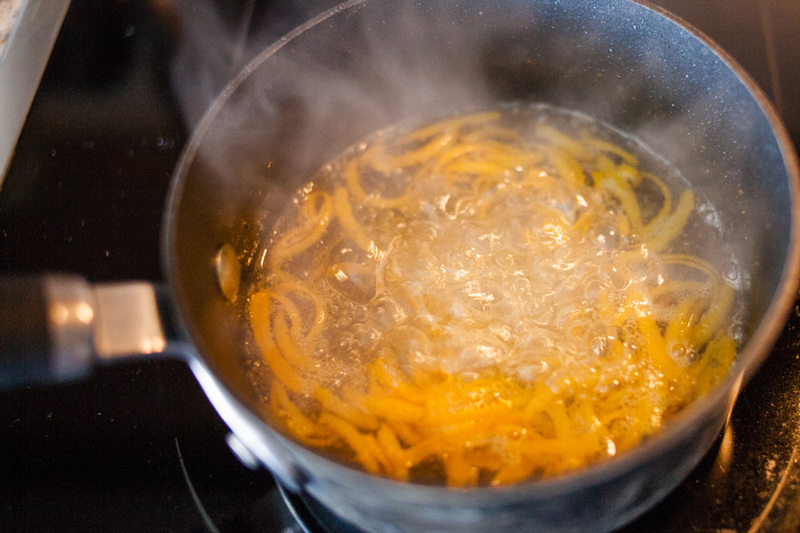 Add your citrus peels to the water and boil for ten minutes. This will soften the peels. 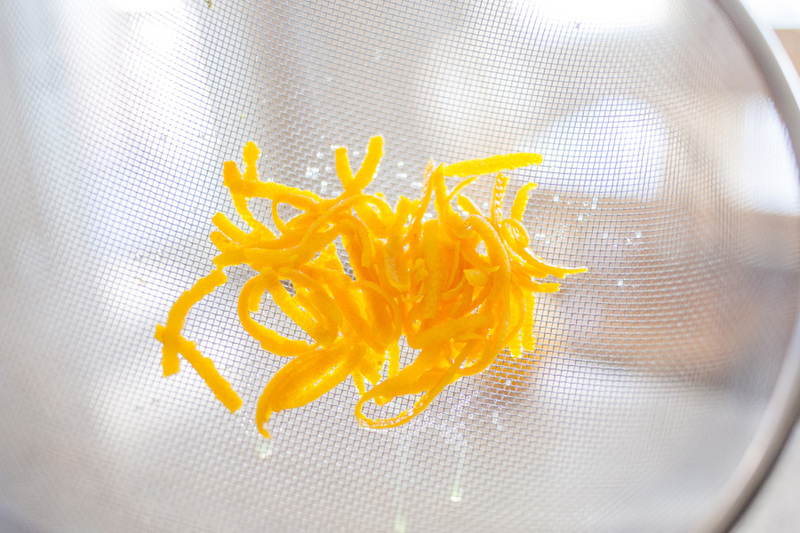 Then strain the peels in a fine-mesh strainer. 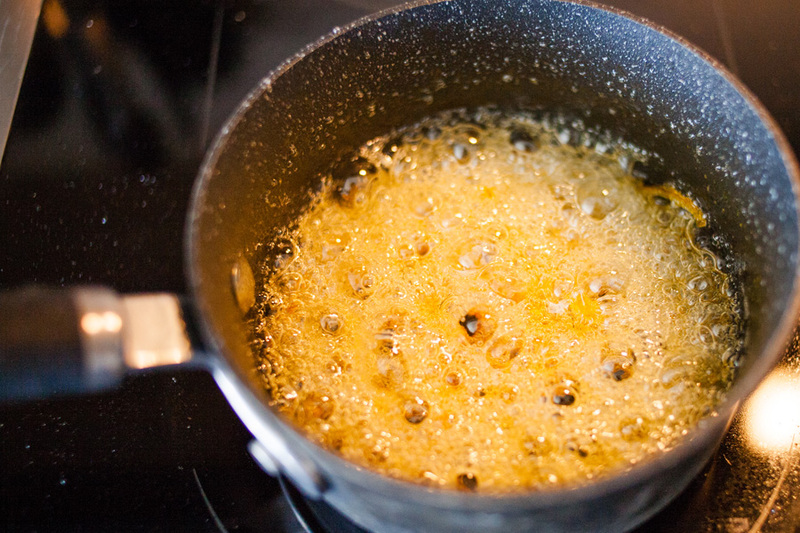 Add one cup of sugar and one cup of water back into the pan and bring to a boil. 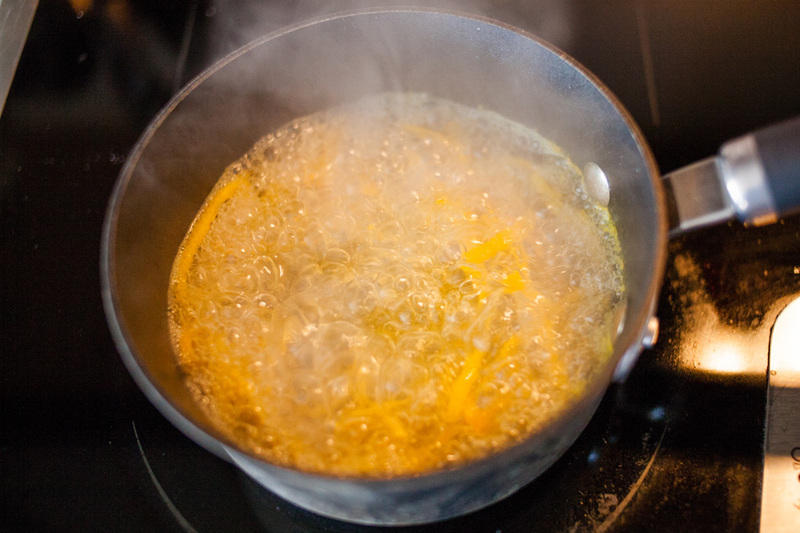 Once boiling, add the peels back in for eight minutes. It seems like a whole cup of sugar and a whole cup of water is a lot for such a small amount of peels. I actually tried this with half a cup of sugar and half a cup of water and boiled it for ten minutes. However, too much of the water evaporated, and then my orange peels turned into hard candy rather than soft, chewable candy. 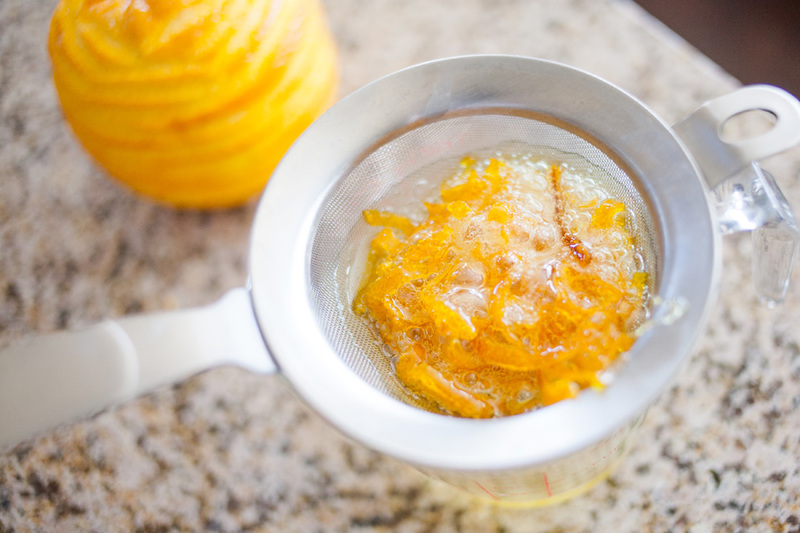 If you would prefer hardened peels, then you can certainly cut the sugar and water in half. Strain the peels again, saving the flavored sugar water for another use. (Can be used as a simple syrup for pancakes or for adding to soda water). The sugar water I saved from this batch turned into hard candy. I made lemon peels the next day with the full amount of water and sugar, and the syrup remained in its liquid form and the peels stayed soft. 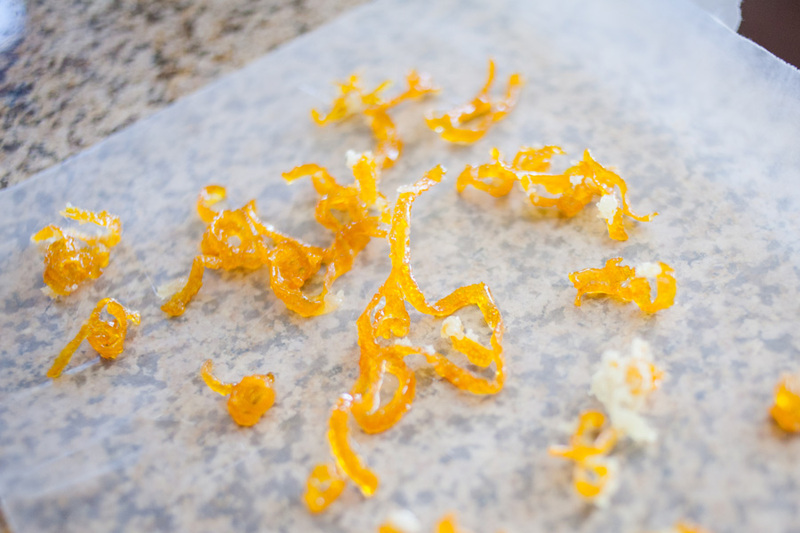 Spread the peels out on waxed paper or a plate to cool and dry. You’re done! Now you can just pop these in your mouth, or use them to spruce up the tops of cakes, pies, bars, and of course, ice cream! 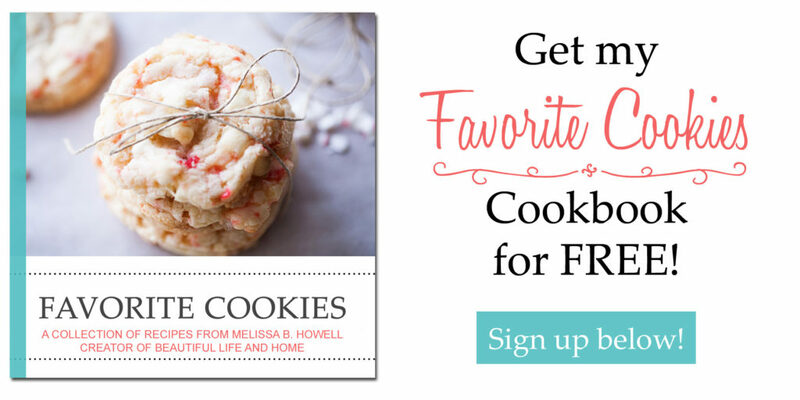 To pin this post, hit the “back” button on your browser and click the Pinterest button at the top of the post.